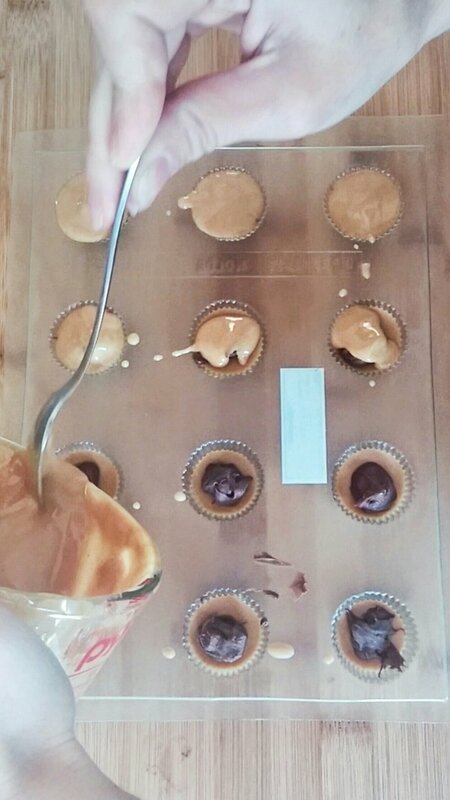 These silky, salty peanut butter cups are what dreams are made of. Well, my dreams anyway. Just try them, they'll haunt you, too. I've always found the term "peanut butter cups" a little misleading. Let it be known: I love peanut butter. I was alone when I took this picture and still felt EMBARRASSED. Peanuts are 'meh,' but once they're squooshed (sorry, science term) their buttery paste is like sticky heaven. 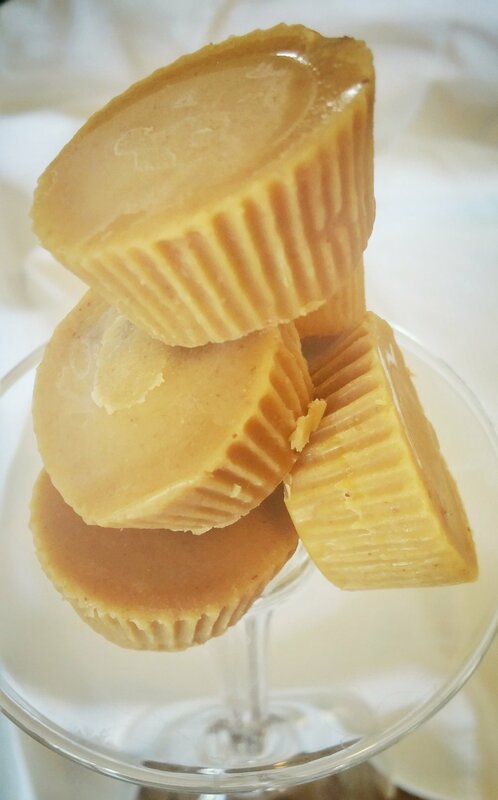 But in the peanut butter cups that we all know, (and love, still) peanut butter is hardly the star that it deserves to be. So, let's invert them. Take the PB out of it's shell. Better yet, let's make it the shell.. This recipe has 3 ingredients. Two of which are peanut butter and Nutella, so already, whoa. Note: you don't need to use a chocolate mould for these. In fact, I recommend a mini muffin or tart pan lined with paper liners. Or a regular muffin or tart pan, if you're not going to pretend to eat these in moderation like the rest of us liars. However, if you do choose to use a chocolate mould, use any size or shape you'd like. Go crazy! I tried them in a fancy pants seashell mould for fun. 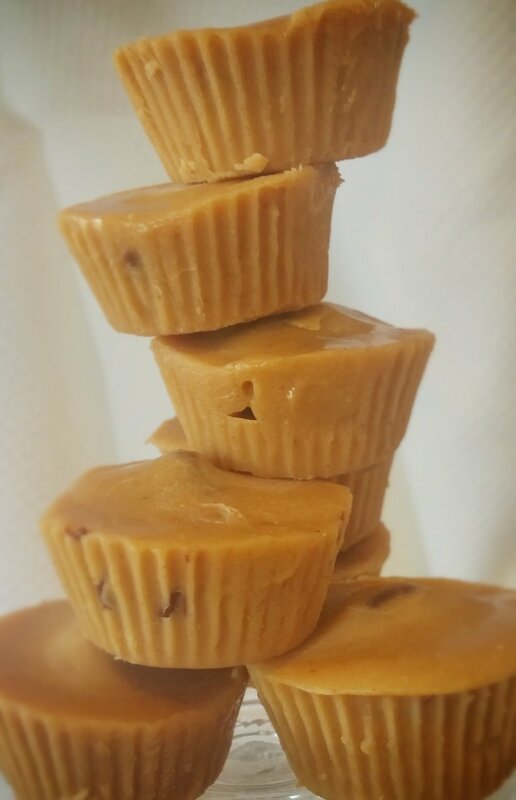 To un-mould the peanut butter cups, flip them upside down and place a warm cloth on the back of the mould for about 15 seconds. These melt fast and you don't want them to do that. Then give them a push or a smack on the back of each and pick up the mould, hopefully the cups will fall out. Plastic moulds will crack easily when frozen. Also, these are eaten out of the freezer. But trust me, I have world's most sensitive teeth and I wouldn't eat these any other way. They're perfect. Sorry that you'll never be able to stop craving these. Also, have I mentioned the health benefits of coconut oil?!? Lol JK no.